Fire Investigation | Investigative & Loss Control Services, Inc. Retention of ILC Investigators to conduct your fire investigation is the first and probably most important step in the initial phases of the investigation process. As the Claims professional, you need to have utmost confidence that the investigator you retain will conduct a thorough, professional and cost effective investigation from the moment of assignment. In addition, you deserve investigators that will keep you apprised of the status of the investigation so that you can make informed decisions regarding handling of the claim. Your success regarding potential recovery in any case will be determined solely by the level of professional investigative services provided to you during the initial site examination. Immediate and dynamic response to the loss site! Coordination of investigation team members to ensure smooth site processing operations. Processing of the loss site within guidelines established by currently accepted practices and principles. Contact and coordination with local, state and federal authorities. Daily verbal reports concerning investigation status and direction. Clear, concise and professional written reports detailing the investigation with opinions and supporting documentation. Once the site investigation has been completed, ILC Investigators will remain engaged with you until the final claim settlement. All ILC Investigators have provided professional expert testimony in both discovery depositions and trial court settings. ILC Investigators have testified in both State and Federal Courts and have been certified by those jurisdictions as competent testifying experts within their fields of expertise. In addition to first party property loss services, ILC Investigators have also provided their expertise to liability insurance carriers, product manufacturers and law firms specializing in liability defense cases. When you or your insured are placed on notice of a potential exposure to a sustained loss, you have the right and the responsibility to conduct your own investigation into that incident in order to establish a potential liability exposure or the lack of. The services that ILC Investigators provide in serving as fire origin and cause experts for notified parties does not change. The same professional level of service and site documentation operations apply. The determination of facts surrounding the loss and the role of the insured with respect to loss occurrence is paramount in helping you to evaluate your potential exposure. 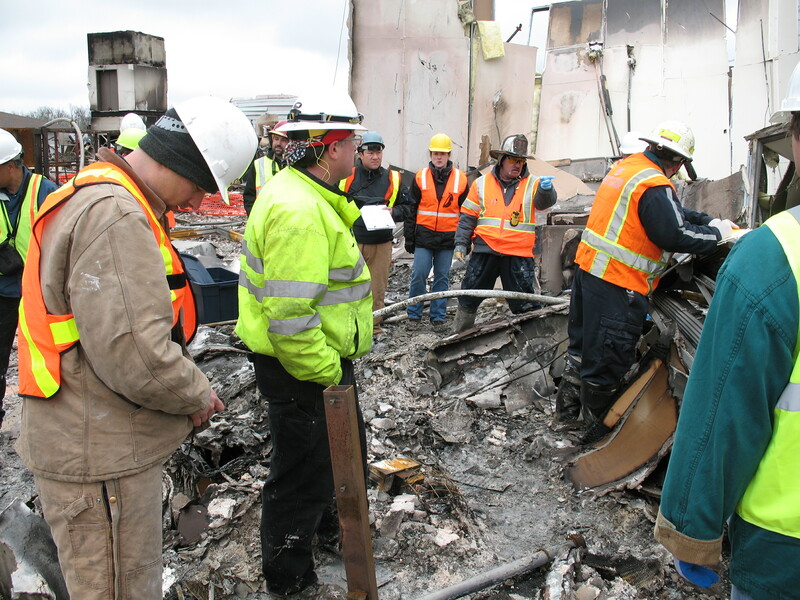 It is also the role of ILC to insure that the investigation being conducted by the plaintiff’s investigation team remains nonprejudicial and conforms to accepted practices and principles for today’s fire scene investigations. ILC Investigators have been extremely successful in conducting investigations on behalf of notified parties; ultimately reducing or removing all potential liability for those parties on a given notice. As with the first party property loss, you deserve to know the facts surrounding any given loss and what those facts mean regarding any potential liability exposure. By identifying if there exists potential liability for you or your insured during the early stages of any fire scene examination, you will be able to make informed decisions regarding any perceived exposure and more cost effectively manage the file to completion. Let ILC Investigators be your professional eyes and ears while providing you the same level of expert investigation services on behalf of you and your insured.